Great prep for shave-readiness. Need a quick lift? 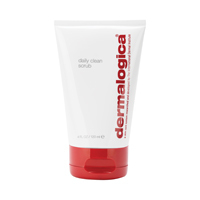 Get shave-ready with this dual-action exfoliating cleanser. A beard-lifting lather containing micro-fine Silica beads helps remove oil and dulling skin cells for clean-looking skin. Cleans deep to help keep pores clear and minimize ingrown hairs while clearing the way for a closer, cleaner shave. Contains no artificial fragrance or color.